The Bride's dress was described as being 'eau de nil' the colour of the nile. (From the French eau de nil: eau, water, and Nil, the Nile.) Other 'colour names' currently listed (in the incomplete list) on the wiktionary page for 'colour names' that begin with the letter 'E' include: ecru, eggshell, emerald green, ebony, eggshell blue, electric-blue, emerald. FYI I recommend the Wikipedia page on colours for a far more complete list. 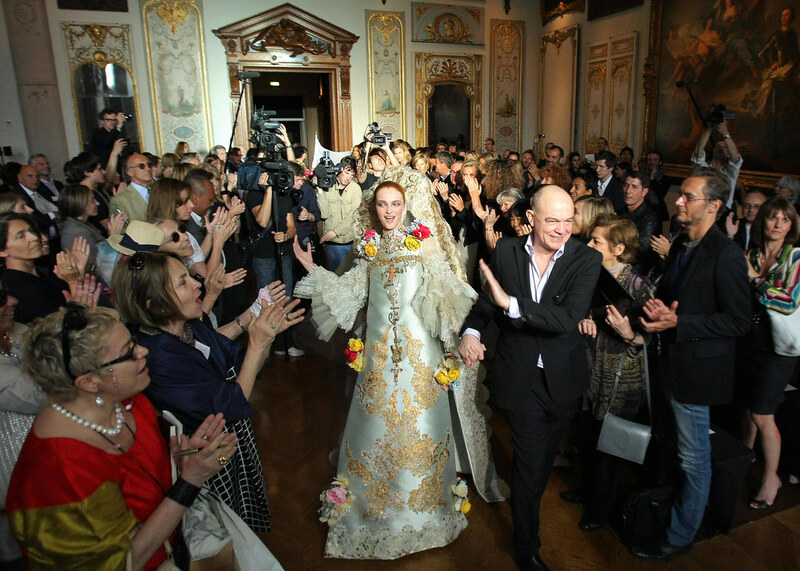 Must admit I am rather hypnotized by this photograph of 'couture fantasia' from the finale of Christian Lacroix's fall 2009 Couture show.